Learn how to create, modify, and assign your own variables in Python. Learn how to structure logical statements in Python. Learn how to create, modify, and call your own functions in Python. Learn about the different types of loops in Python and what you can do with them. Learn how to create and manipulate strings and characters in Python. How to use common built-in math functions in Python. Learn how to create and manipulate lists in Python with some basic functions. Learn about the common list methods that are required to complete most of the easy Coderbyte challenges. Learn how to create and manipulate dictionaries in Python. 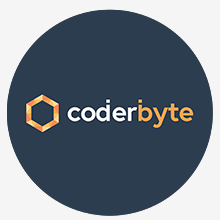 More introductory challenges and solutions provided to guide you through the process of completing all the easy challenges on Coderbyte in Python.